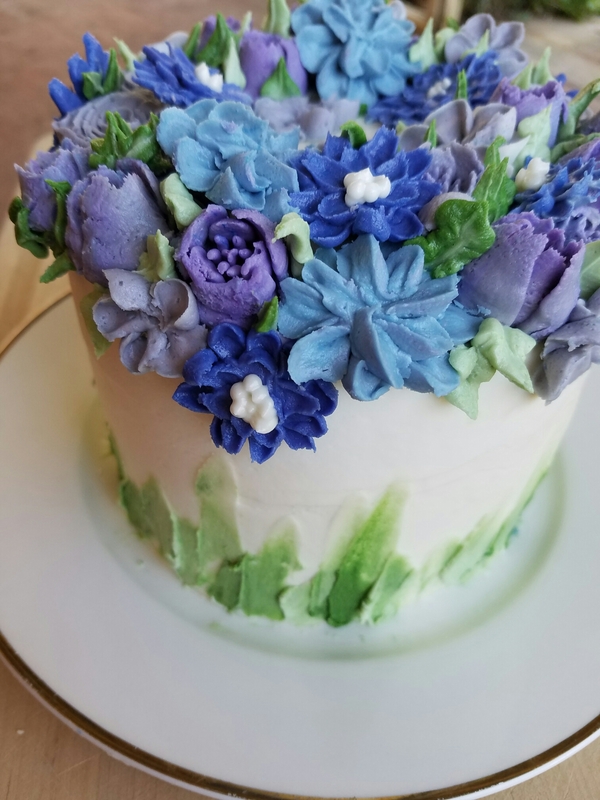 I am so excited to be able to share this cake with you! It was a birthday cake for someone really special. Some of her favorite colors are purple and gray, so I used that as my inspiration. I don’t know if you’re supposed to have a favorite cake, but this is definitely in the top 5. 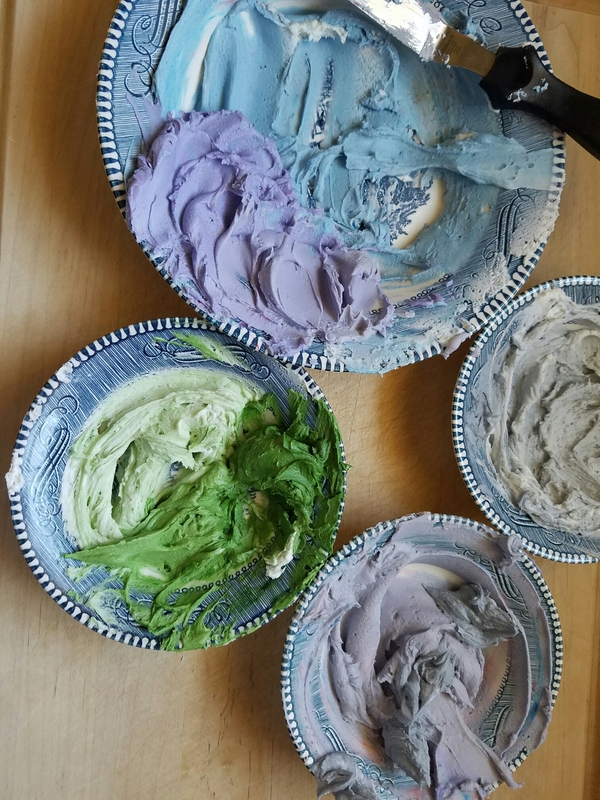 I had so much fun playing with the frosting colors. 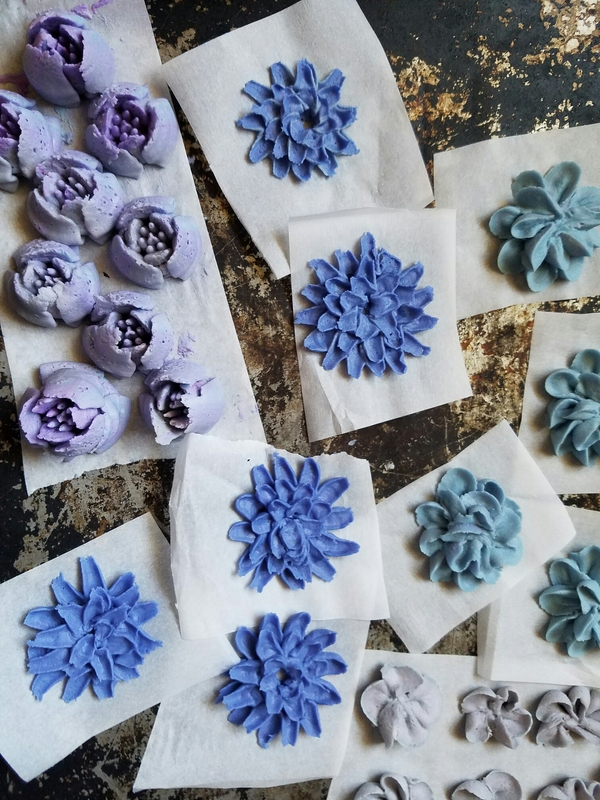 I used Wilton’s red-red, royal blue, and rose to make the shades of purple and blue. Moss green was used for the leaves. I also used a bit of black to get some grey. 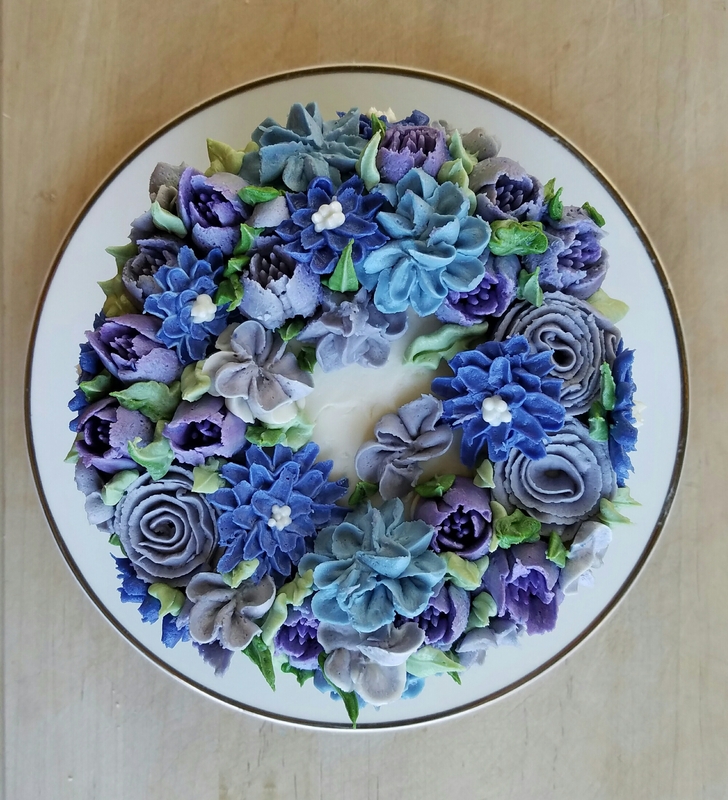 You may notice that I pulled out a Russian piping tip for the purple flowers in the top left. Then it was time for the fun part- the arranging!! I LOVE how it turned out!!!!! I also tried something new. I used a small offset spatula to spackle some green on the sides. I love how it turned out. 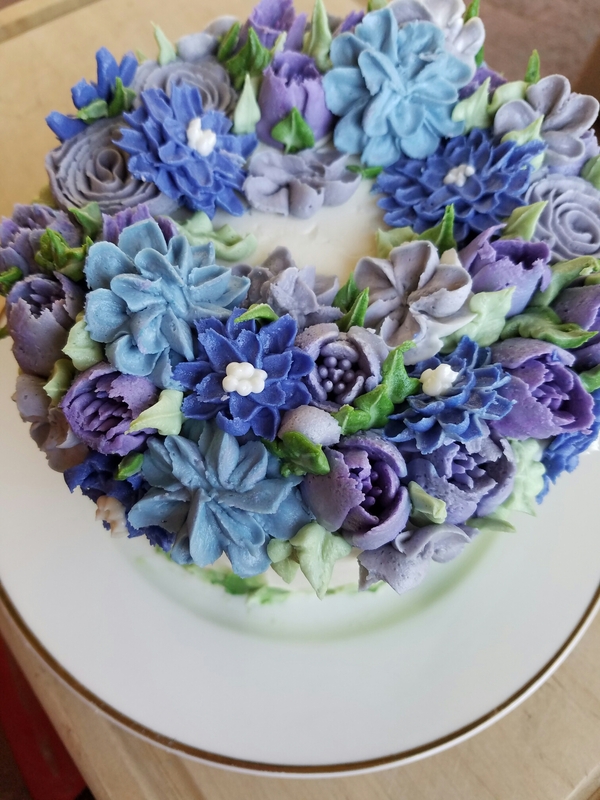 I think it suited the cake well and put the emphasis on the flowers. I just kept taking pictures of it. Ok, I think I’m done now. I just had so much fun with it!! 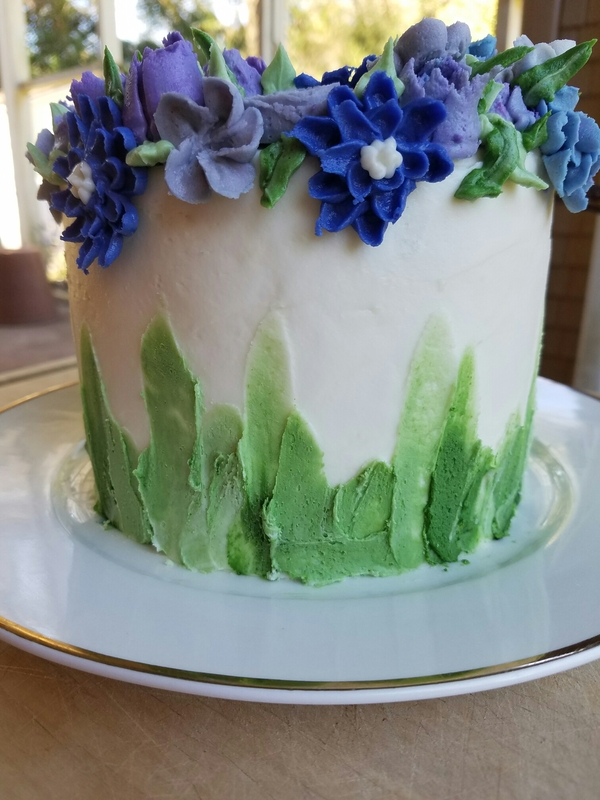 It’s like gardening, but on a cake! It was a homemade carrot cake with homemade cream cheese frosting.